When it comes to video game hardware such as the mouse, there is one group of people that some hardware manufacturers tend to overlook – folks who are left handed like yours truly, of course. I have trained myself to be able to play using my right hand, so my left hand is as useless as a banana in lieu of a racquet in a tennis game when it comes to gaming mice. Well, getting used to the right handed mouse is one thing, but somehow I have always favored the use of an ambidextrous design in gaming mice. It lends an air of understanding to southpaws like me, and it also looks nicer – after all, symmetrical faces tend to be the best looking of the lot, don’t they? Razer, a gaming hardware manufacturer since forever, has come up with their latest release – the Razer Taipan, which is said to be the next generation ambidextrous gaming mouse that looks set to burn up mouse mats everywhere around the world. Just what does the Razer Taipan have underneath its shell that makes it worth considering as your next purchase? Let us take a closer look at it after the jump, shall we? The Razer Taipan is said to set a new standard for versatility, form and function. In fact, it is said that Razer’s ergonomic scientists actually sat down and worked with top e-Sports athletes from professional gaming teams such as Empire, Frenetic Array, Mousesports, Quantic, Rox.Kis and Type II Gaming, in order to make sure that they have identified the optimal shape, weight, and balance that are required in the design of an ambidextrous mouse where such a mouse will obviously need to perform at the highest levels of gameplay at all times. Sporting a symmetrical shape with narrow footprint and arched back, it is comfortable enough for play with a wide range of players, while the weight distribution of the mouse has also been altered in order to deliver the most optimal grip profile. It will run on Razer’s new 8200 dpi 4G Dual Sensor System, sporting Z-axis tracking and liftoff cutoff customization so that your aim remains true as always. 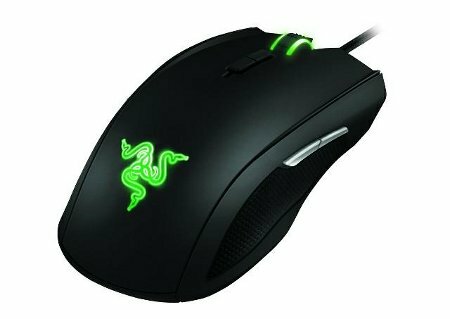 Out later this July, the Razer Taipan will retail for $79.99 and €79.99 in the US and Europe, respectively.